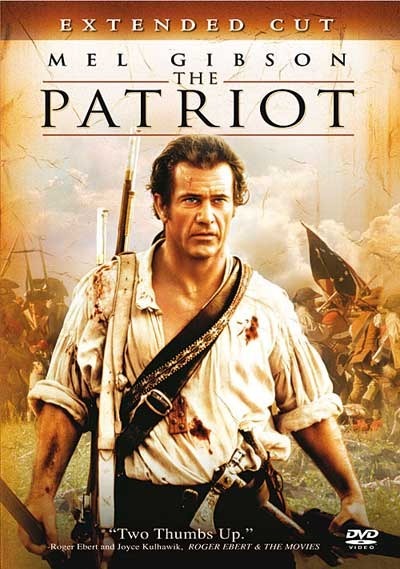 The movie takes place in South Carolina in 1776. Benjamin Martin, a French-Indian war hero who is haunted by his past, is a patriot who wants no part in a war with Britain Meanwhile, his two eldest sons, Gabriel and Thomas, can't wait to go out and kill some Redcoats. When South Carolina decides to go to war with Britain, Gabriel immediately signs up to fight...without his father's permission. But soon, Colonel Tavington, British solder infamous for his brutal tactics captures Gabriel and sentences him to be hanged. As Gabriel is taken away, Thomas tries to free him, only to be killed by Tavington, in front of Benjamin. Now, seeking revenge for his son's death, Benjamin leaves behind his 5 other children to bring independence to the 13 colonies. This is one of my favorite films. There is something about the old-school type of wars that captures my eye. I hate machine guns and tanks. I believe that the soldiers or warriors are braver when they use swords to attack. People would say that it is more violent than gun shots and exploding bombs because of one on one fight we see. But that's what made it more realistic. The visuals were also impressive. It captured the said era and how people lived during that time. I love Mel Gibson's war films! He's a great actor and director, no question about that. I also admire Jason Isaacs whenever he portrays the antagonist because he really justifies a villain's character. Heath Ledger was also promising. It is a shame that we have lost him too soon. The acting was great that I felt every emotion, whether it was love, anger or sadness.